AT&T’s(s t) nationwide small cell rollout isn’t confined to malls and parks. It’s also going to the Magic Kingdom. In a blog post on Tuesday, AT&T said it has started plopping down the tiny base stations in Walt Disney World in Florida, Disney Land in California and other resorts in an effort to bring mobile coverage and capacity to more places in the theme parks. Small cells are pretty much what their name implies. Instead of using big towers to transmit signals over broad areas, small cells are mounted on walls and utility poles where they pack in an entire cell site’s worth of capacity into a tiny space. AT&T plans to surgically implant 40,000 of these miniature cells throughout its network in the next two years, adding key data and voice capacity to the most highly trafficked areas of its footprint. Disney(s dis) has received about 350 AT&T small cells so far, along with coverage-boosting technologies like distributed antenna systems and cellular repeaters. The deployment, however, appears to be primarily targeted at Disney’s theme park employees, not their guests. According to AT&T, many of small cells and antenna systems are going into administrative areas and the vast network of tunnels below its theme parks, which its costumed employees use to move about sight unseen when not in character. Disney doesn’t want Goofy making phone calls or updating Facebook(s fb) where patrons can see him. Though AT&T is targeting small cells at lot more places than theme parks, it makes sense that Disney would be one of the first to take advantage of them. The company obsesses over the sights, sounds and even smells in its theme parks. 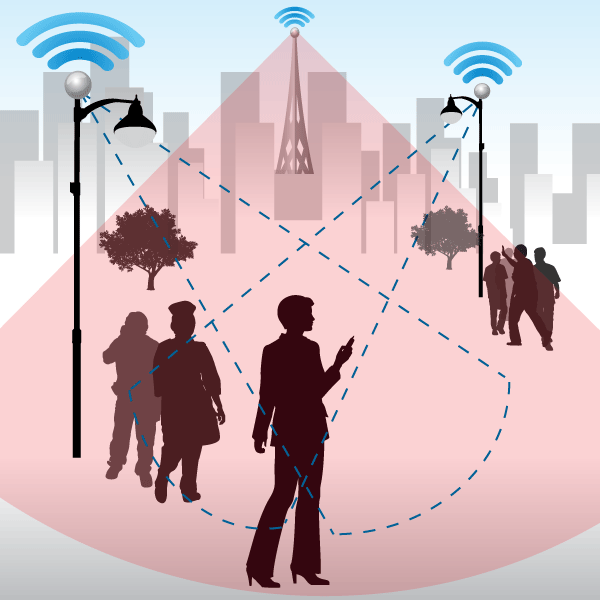 Small cells have the advantage of being innocuous. The last thing Disney wants is a bunch of cell towers marring its meticulously fabricated vistas. Disneyland has been misspelled. It is one word. I was at Magic Kingdom last week, and got 3G coverage everywhere. I was surprised at the good coverage.